The Nationalist Party on Tuesday failed to answer questions on whether Kristy Debono would relinquish her role as president of the general council following her meeting with the owner of 17 Black. It was also asked whether Opposition leader Adrian Delia had demanded such a move. The Sunday Times of Malta reported that Ms Debono, together with fellow MP Hermann Schiavone, met Yorgen Fenech last Friday. 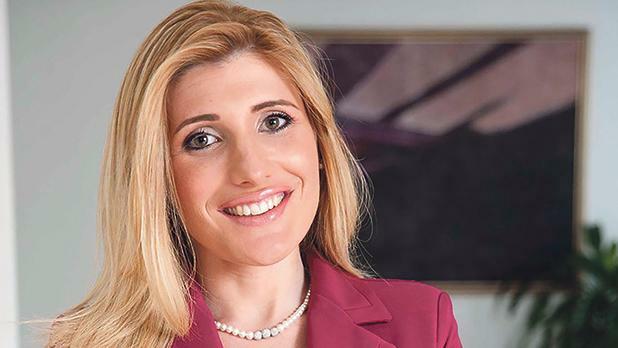 In a statement on Monday, two days after admitting she had met with Mr Fenech, who is also the CEO of the Tumas Group, seeking a sponsorship, Ms Debono admitted she had made an error of judgement when attending the meeting. She apologised for the “unnecessary controversy”, saying she had no intention of doing anything “secretive”. On his part, Dr Delia said that, while he did not know that two of his closest MPs had met with the businessman, the meeting did not dent the party’s fight against corruption. According to sources, party grassroots were questioning whether her position as general council president was still tenable in light of the meeting with Mr Fenech. Still, the sources added, those close to Dr Delia were objecting to her stepping down. Ms Debono insisted on Tuesday she was not the one who had set up the meeting with Mr Fenech. The meeting, she insisted, lasted less than an hour. Pressed to say who had arranged the meeting, the MP declined to say. Sources, however, indicated it was Mr Schiavone who had sought the meeting. Ms Debono would neither respond to questions regarding the meeting itself or react to comments made by fellow parliamentary group members about the encounter, insisting she had nothing else to explain. Sources said that during a meeting with Dr Delia, Ms Debono had suggested that the situation had been “blown out of proportion” but that she and Dr Delia agreed, with hindsight, the meeting would be deemed “politically insensitive”. Dr Delia was “very understanding” of Ms Debono, the sources said, adding he did not exert any pressure for resignations. Mr Schiavone declined to apologise, saying he had "already said what I had to say". He said many other delegates had told him that the issue "was blown out of proportion on purpose". He insisted a fellow director of Tumas group, whose name he did not divulge, was the one to set up the meeting with Mr Fenech. PN leader Adrian Delia was not informed of the meeting, he said, since the party leader is never involved in logistical matters. He confirmed that he had met with Dr Delia in the past days but declined to divulge what was said. Times of Malta and Reuters reported late last year that 17 Black was one of two companies that would pay $2 million to Panama companies set up by Tourism Minister Konrad Mizzi and the Prime Minister’s top aide, Keith Schembri.